Anyone who spends time at Rift Valley Fellowship or Lulu Place will find it hard to miss the joy and determination of Keziah. 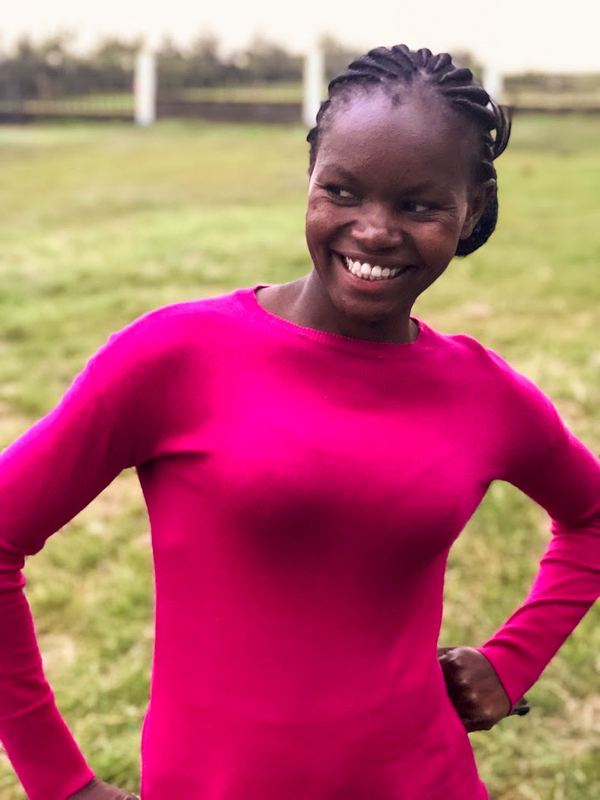 Despite the mountain of daily responsibilities she has as both the RVF administrative assistant and supervisor of Lulu Place, Keziah can often be found playing football and laughing with the girls she has come to love and care for so dearly. Keziah has worked with RVF and His Voice Global since before Lulu Place existed. While attending Moffat Bible College, she volunteered weekly with RVF’s feeding programs and started working on staff at the church after graduation. Over the years, she has seen the lives of the kids she works with change in drastic ways. “They have grown, they have become beautiful, they have hope,” she says. Keziah sees these changes so clearly, because she too, has experienced what it feels like to move from hopelessness to hope. While attending college at Moffat, Keziah took a class from RVF pastor, Isaac Munji, who noticed she was struggling. He invited her to attend a church service, and there, Keziah heard Isaac speak about letting go of anger on account of the good news of Christ. She felt her life renewed. Keziah began opening up to Isaac and his wife, Esther, who in turn, walked with her as she faced anger and hurt, and supported her while she was in school. Keziah believes her own struggles have allowed her to approach the street kids from Maai Mahiu with empathy and understanding. Knowing she, too, was once in need of hearing about Jesus motivates Keziah to serve others in need of him. By serving holistically, Keziah says that RVF and HVG can reach people where they’re in real need – at the heart level. People separated from God always have sick hearts. Real healing comes through knowing Jesus. The girls and boys RVF and HVG serve are not the only ones Keziah has seen change over the years. After years of struggling with being abused and hopelessness, Keziah’s mom began attending RVF. “Through the messages that were preached, she was able to open up,” Keziah says. Now, Keziah’s mom shares her testimony with others who have struggled from similar situations, and she works as a caregiver at Lulu Place. Just like her daughter, she is impacting the lives of others due to the healing changes in her life. Despite all of the changes, Keziah is also aware of the daily challenges and struggles that face many in this community. She says in facing these challenges, she has found solace and comfort in daily prayer which is something she relies heavily on to continue her work. She also wants to continue her studies in counseling so that she can impact even more of those around her in need. 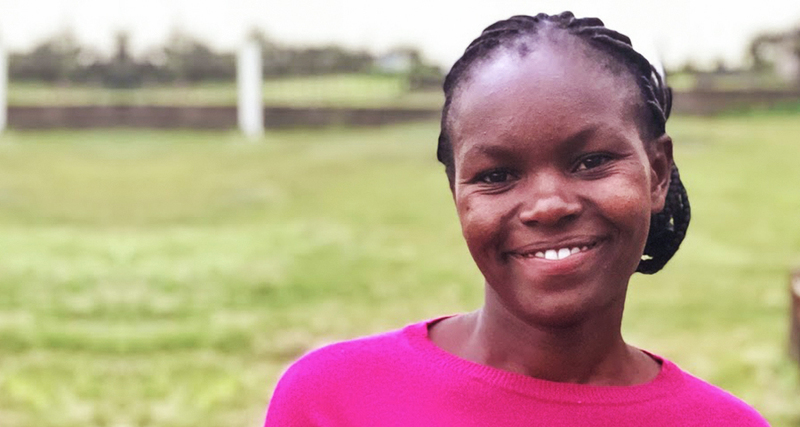 As a new mother and a wife, Keziah prays that her family can serve as a role model for others in Maai Mahiu. 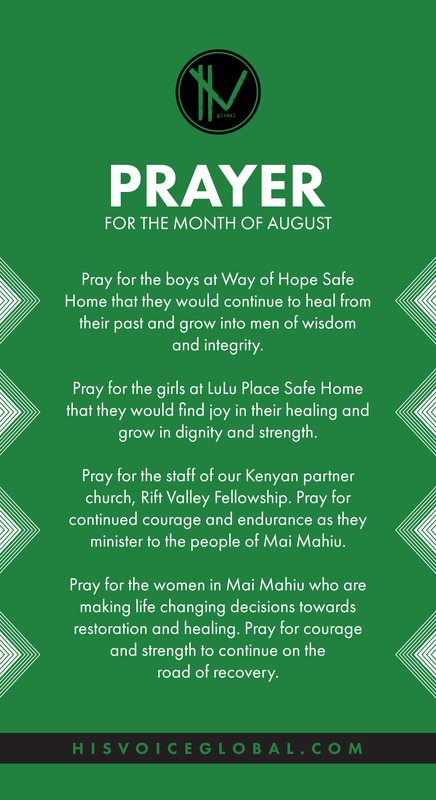 Keziah hopes and prays that as those in the community of Maai Mahiu meet Jesus, they are also freed from a way of life that relies on prostitution, theft and drugs to survive. She longs for the girls at Lulu Place and the boys from Way of Hope to know their true worth and to seek after true healing in Christ.